Granholm Mulhern Associates offers speaking, consulting, leadership, coaching and training services to the business, government and non-profit sectors. Jennifer Granholm specializes in start-ups and businesses in the clean energy, transportation and advanced manufacturing sectors. As a former two-term governor and attorney general, her experience covers a breadth of state and federal policy and political issues. Dan Mulhern specializes in keynotes, leadership training, coaching and executive on-boarding -- particularly where leadership roles are divided between two or more top executives. Mulhern teaches leadership in the Public Policy, Law and Business Schools at University of California, Berkeley. 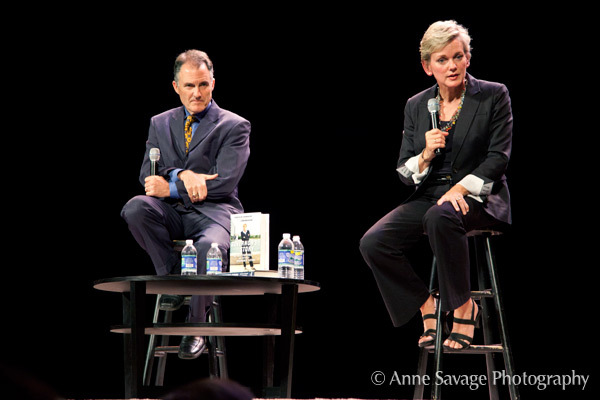 Whether it’s a keynote speech in a grand ballroom or addressing a table of executives, Granholm and Mulhern invigorate audiences with fitting narratives about leadership, defining success and the power of change. Filled with revealing stories about politics, economics, and the often-misunderstood connections between them. A Governor’s Story offers vital lessons not just for policy makers and business leaders but for anyone seeking insight into the challenges facing America today. Granholm Mulhern Associates helps individuals and organizations define and achieve their own version of lasting success.